What is a CRO and will your business soon need one? The times are changing! What seemed like science fiction a few years ago is now on the front page of the news. Augmented reality, wearables, virtual assistants, robots, and other smart devices are beginning to permeate our daily lives. Amazon Prime Air, the e-commerce giant’s new retail drone delivery system, is ready to launch but is waiting on regulatory approval from the U.S. Federal Aviation Administration. If you have not seen the latest video of their system in action then it’s an eye-opener on how far automation has come. Turning from the skies to the road, robotics is set to revolutionize how we drive. Self-driving features are already available in certain models like Tesla, with fully automated vehicles ready for purchase in the next few years. In fact, some forecasts estimate that 10 million of these cars will be on the road by 2020. Who would have thought? There’s no other way to state it: the business impacts of automation in the next decade will be profound. Market intelligence firm Tractica estimates that the global robotics market will grow from $28.3 billion worldwide in 2015 to $151.7 billion by 2020. 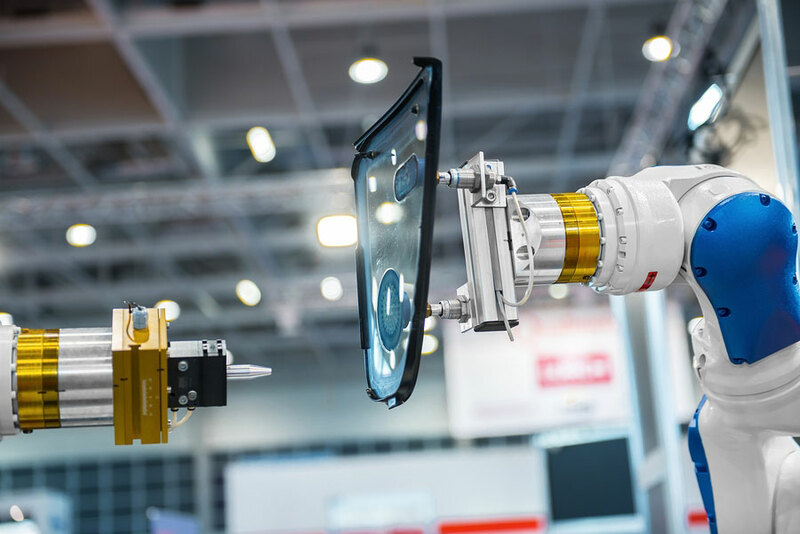 What’s especially significant is that this market share will encompass most non-industrial robots, including segments like consumer, enterprise, medical, military, UAVs, and autonomous vehicles. But even more impactful than CAGR numbers and market projections around robotics, are the implications on jobs. People are growing increasingly concerned about the ways automation will change their work and careers, and rightfully so. Gartner Research, one of the world’s leading voices in technology trends, has declared that the smart machine era will be the most disruptive in the history of IT. And even now, the results of a 2013 Gartner survey show that sixty percent of CEOs believe that the emergence of smart machines capable of taking away millions of middle-class jobs within the next 15 years is a “futuristic fantasy.” Be that as it may, this new era of robotics is going to dramatically change the nature of work – along with the roles and functions of business. And this is where things get really interesting! According to Remy Glaisner, CEO and founder of Myria Research, the future robotics revolution will significantly impact the C-Suite of business. As Robotics and Intelligence Operational Systems (RIOS) technologies scale up, companies will require more structured and strategic approaches to managing the implications of this global transformation on their verticals. The Chief Robotics Officer plans, directs, organizes and manages all activities of the RIOS (Robotics & Intelligent Operational Systems) department to ensure the effective, secure and efficient use of all RIOS solutions and applications. These efforts must be accomplished in partnership with other business units (IT, Finance, Engineering, R&D, Operations, HR, Business Development, et al) and increasingly with senior management and the Board of Directors. CROs must have significant vertical industry knowledge so that they can better consider the evolution of RIOS solutions in existing and future functions and processes. The anticipated effects of this new enterprise transformation in business and technology will be fascinating, if not a bit staggering, and suggest that we truly are living in unprecedented times. Back in January of 2007, Bill Gates famously declared robots as the “next big thing” and placed the industry at the same place as the PC market in the late 1970s. Perhaps this prediction was a bit premature at the time since breakthroughs in mobile, cloud, and Big Data were just beginning. But now a decade later, things are much different; technology has reached an inflection point. Everything about the market suggests that it’s finally happening – that robots really are about to go mainstream. The age of robotics is truly upon us. Will you be ready?